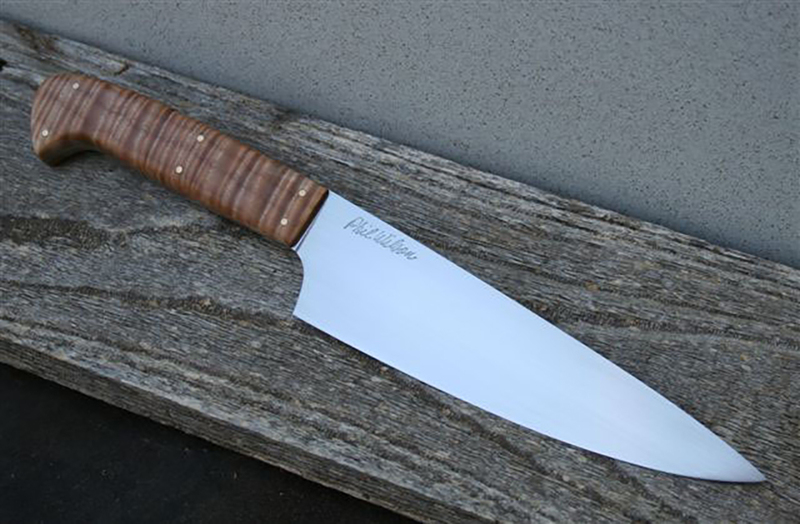 I make a 6-7 inch chef's knife,and several different paring and utility knife designs. My fillet knives are great in the kitchen for boning and carving use as well as fillet and trimming. My kitchen knives also are ground very thin and as a result very easy to sharpen.